The Toledo Bend Reservoir is located on the Sabine River, which forms the boundary between Texas and Louisiana. The reservoir is the largest man made lake in the south and encompasses 185,000 acres of Texas and Louisiana. The reservoir provides the area with hydroelectric power, fresh water and more bass than any other lake in Texas. With over 1200 miles of coastline, Toledo Bend Reservoir offers unlimited opportunity for recreational development and activity. 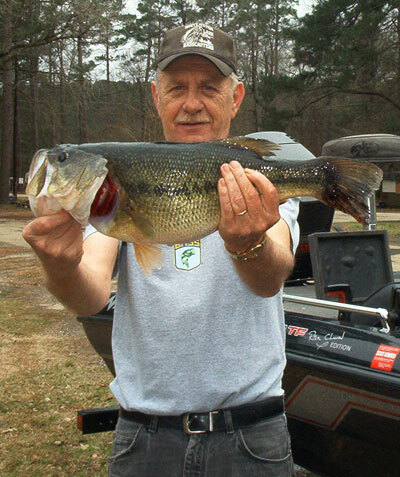 The waters of Toledo Bend have been accurately described as the Black Bass capitol of the world. One of the top five Striper lakes in Texas, the lake offers every challenge and reward the angler dreams of. Deer, Duck, and genuine southern friendliness come only second to the bass population! Even the occasional 80 pound catfish will come by for a cup of coffee and to talk about the weather. Established 1969, Park named after Issac Lowe, early settler that helped kick mean 'ol Santa Ana out of East Texas. · Fully furnished cabins, several new in February 2001 ! · We specialize in corporate events. · All bass clubs welcome. · Less bugs per campsite than anywhere else!! !